Doug Carraway (carraway.1@osu.edu) produces marketing and educational videos for Fisher College. He also coordinates video conferences and webcasts in Mason Studio. Christiana Cordiano (cordiano.2@osu.edu) is an eLearning Instructional Developer who works closely with faculty to achieve their pedagogical goals developing online video content. She also works on Fisher’s distance learning program supporting faculty and staff in coordination of this program. Randy Spears (spears.4@osu.edu) is the Associate Director for Educational Technology providing oversight to Fisher’s distance learning program, delivering training on instructional design best practices and technology used in teaching along with managing video production for the college. He also represents the college at campus-wide events in the area of technology and communication. The movement towards digital content continues to grow around education. In many cases this movement means more affordable content for students. The Springboro Community City School District near Dayton, Ohio has started a movement towards ebooks and has reported an $800,000 savings compared to the hardback option. This same lower pricing can be found throughout education and means lower priced texts for higher education students. The full article on the Springboro Community City School District conversion can be found here. To learn more about ebooks, please contact the Fisher ITS Helpdesk. Dayton Daily News (2014, August). Schools opt for e-books. Quality Matters (QM) is an international standard for online and hybrid course design. QM began in 2003 and has since spread worldwide to include over 800 subscribing institutions. A full interactive map of subscribing institutions can be found here. QM updates their rubric every three years to include new research and best practices in course design. The Fifth Edition of the rubric was released on August 1st. You can read more about the rubric and download the new version here. To learn more about QM, course design, and how it can benefit your course, please contact the Fisher ITS Helpdesk. The International Society for Technology in Education (ISTE) hosts a large conference each year. 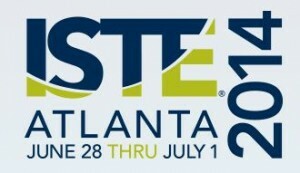 ISTE 2014 recently ended and represented a record for attendance with over 16,000 registrations. The conference highlights new educational trends and technologies. Recognize struggling students and intervene. All-in-one solutions are in vogue. Active and project-based learning is alive and well. New conversations around BYOD and one-to-one are surfacing. Give students what they need. The full synopsis of each takeaway can be found here. To learn more about how educational technology can be used in your classroom, please contact the Fisher ITS Helpdesk. SmartBlog on Education (2014, August). 7 takeaways from #ISTE2014. 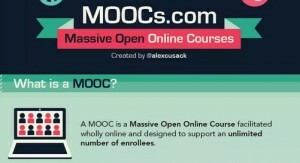 The topic of MOOCs (Massively Open Online Course) has been discussed in this blog in past posts. Despite the continued rise of the MOOC throughout 2013 and now into 2014, there are still some who have not heard of this educational trend. Alex Cusack of MOOCs.com has developed a solution to this problem. If you have any questions about MOOCs or in general, please contact the Fisher ITS Helpdesk. The University Center for the Advancement of Teaching (UCAT) at the Ohio State University “…seeks to advance teaching at Ohio State by promoting a university culture that puts students first by valuing a scholarly approach to teaching and learning, and focuses on faculty success by providing information, consultation, and events on teaching” (UCAT, 2014). One way that UCAT advances teaching is by the dissemination of knowledge through their blog. The UCAT Blog highlights upcoming workshops, best practices in teaching, and reflections from OSU faculty on their teaching experience. If you have any questions about best practices in teaching and learning, please contact the Fisher ITS Helpdesk. The Chronicle of Higher Education recently published an article highlighting the improvement active learning can have on student outcomes versus traditional lecture. In the study described, the incorporation of active learning techniques in the classroom led to a 12-point improvement over traditional lecture courses in terms of the number of students who passed the course (The Chronicle, 2014). To learn how active learning can be incorporated into your classroom, please contact the Fisher ITS Helpdesk. The Chronicle (2014, May). Active Learning Is Found to Foster Higher Pass Rates in STEM Courses. In a recent post to The Chronicle of Higher Education, Sam Buemi who is an “e-learning coach and social-sciences instructor at Northcentral Technical College, in Wisconsin” outlines a strategy called “Microflipping” (The Chronicle, 2014). The “Flipped Classroom” strategy of teaching has gained momentum recently. In this method, students cover core concepts and material outside of the classroom and then work on active learning and group work in the classroom to reinforce concepts. The task of “Flipping” a course can seem daunting, but it is important to remember that a “Flip” does not have to cover 100% of the course. In his article, Buemi introduces “Microflipping.”“Unlike the fully flipped approach where students are expected to come to class prepared, microflipping is designed to instruct both those students who have done the required assignments before class and those who have not” (The Chronicle, 2014). Buemi goes on to say, “Microflipping complements traditional teaching by emphasizing that class engagement and critical thinking are a central priority in helping students learn” (The Chronicle, 2014). This is a great strategy to complement what is already happening in a traditional classroom and to experiment with emerging trends before moving to them completely. To learn more about the “Flipped Classroom,” please contact the Fisher ITS Helpdesk. The Chronicle (2014, April). Microflipping: a Modest Twist on the ‘Flipped’ Classroom. Carmen will undergo its annual update the weekend of May 2nd. Carmen will be unavailable beginning Friday May 2nd at 6PM and will remain offline until Sunday May 4th. If you are using Carmen for grades this semester, the Carmen Team recommends that all final grades be submitted before Carmen goes offline. The Carmen Team has prepared a set of guides outlining how to calculate final grades in Carmen and then export these grades to the registrar. The annual Carmen update this year does not include a major interface changes like the changes that were implemented last year, however several main tools will receive updates. A summary of the updates can be found on the Carmen Team blog. If you have any questions or concerns, please contact the Fisher ITS Helpdesk.